Traditionally, the weekend in between the two congress weeks is the time for a separate five rounds McMahon tournament. Everybody who has registered can participate, also players from outside Europe! This tournament is the second biggest tournament at the EGC. 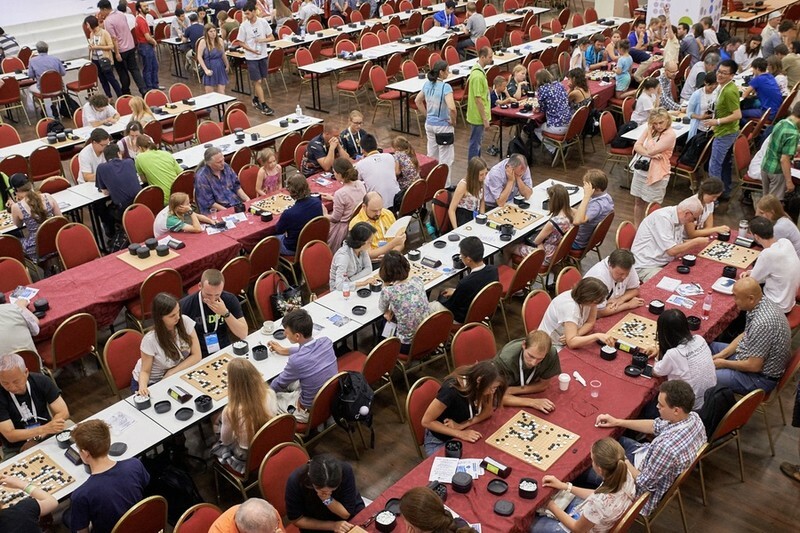 Last year, more than 450 players participated in this tournament, among them more than 100 Dan players and also a few professionals. The winner was Kim Youngsam, South Korea, 7 Dan. The tournament is EGF ranked and there are nice prizes to win, for the top players, but also for everybody with a good tournament performance (details will be announced). The system is five rounds of McMahon with even games. Japanese Rules. Prizes go to the top 5 players and to players with 5 and 4 points. Ranks are determined by MacMahon Score (without compensation for missed rounds, i.e. ScoreX), SOS, SOSOS. Detailed rules can be found at http://www.eurogofed.org/egf/tourrules.htm (EGF/Japanese rules). Please register early! If you register for the weekend tournament and later on decide not to play in it you can still cancel your registration by using a special dropping until the evening before the tournament at 23:00. To drop rounds correctly mark them on the provided “Drop Weekend” forms until one hour before the next round. 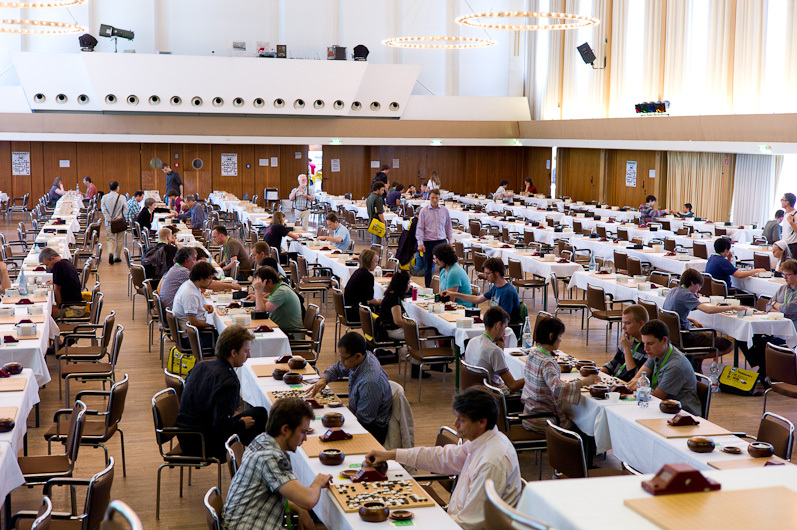 In modification to the official EGF rules cited above, a game is lost if the player does not appear on the board within 30 minutes after start of the round. A player not playing a round without proper notification can be expelled from the tournament. This ensures that all players actually have opponents. 60 minutes plus 15 stones per five minutes Canadian byoyomi. 6.5 Komi.